Everything arises from Brahma, lives in him, and returns to him to be reborn again. It’s been two days now that Agung Suharto has been waiting in the wayside inn of Probolinggo town to get to his native mountain village of Cemoro Lawang – located on the north eastern edge of the caldera. No transport operates on the Ngadisari road towards the active volcano of Mount Bromo. Even though there’re no fellow travellers, never mind tourists to share the journey with – the idea of hiring an entire jeep or a minibus seems like an extravagance. This means that, among the locals, patience is a valuable and much needed virtue. Although people have been alerted to avoid the area surrounding Mount Bromo, a few travellers turn up next morning. The minibus driver, no longer concerned with filling the bus to capacity, significantly lowers the fare and the crew sets off down the road. Probolinggo, located near one of the Island of Java’s main highways, is only 45 km away from the Bromo Tengger Semeru National Park. However, the winding mountain roads that you have to traverse to get there make the journey somewhat longer than you’d expect – it takes one and a half hours. Ngadisari village, which is situated around 5.5 km from Cemoro Lawang, marks the entrance to the national park. As we ascended our eyes were met with the sight of mountain villages that had been submerged in volcanic ash as if it were snow. The locals had rallied together and were busy cleaning the roofs of their brightly painted houses and clearing their yards and the impassable roads. Under this thick layer of ash, their harvest of sweet onion had begun to perish. Having reached the edge of the caldera, we were faced by the awe-inspiring view of the Tengger massif. In its foreground – emitting smoke and a hollow sound – lurked Mount Bromo which had awoken a few months previously. The first tremors were recorded at the beginning of November 2010. 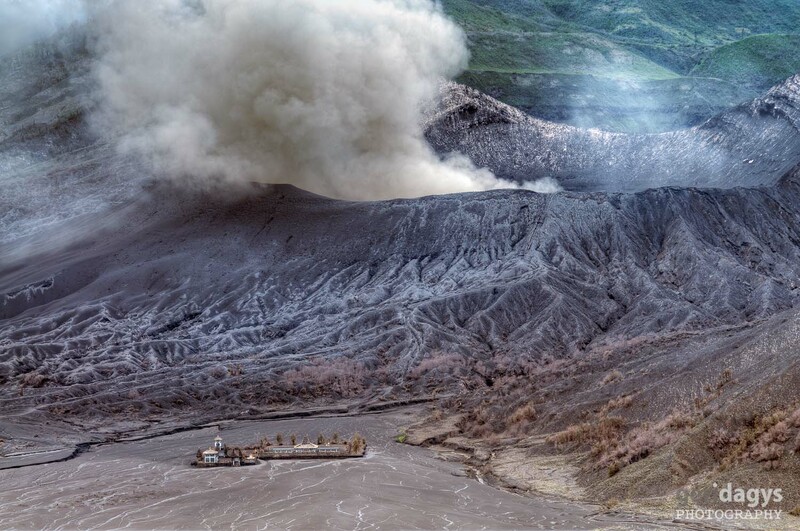 During the second half of the month, the tremors, which had increased in frequency, transformed into an almost ceaseless earthquake, while the gases that were belched from Bromo began to congregate into thickening and darkening clouds. On 23 November 2010 the earthquake reached the magnitude of 4.0 on the Richter scale. Bromo began to spit red ash on 26 November. As a precaution local residents and tourists were advised to abandon the area and to remain clear within a radius of three kilometres from the caldera. Refugee camps were erected. Until the spring of 2011, Bromo’s continuous outbursts disrupted not only the work of the nearby Malang city airport but also the work of the airports located further away. 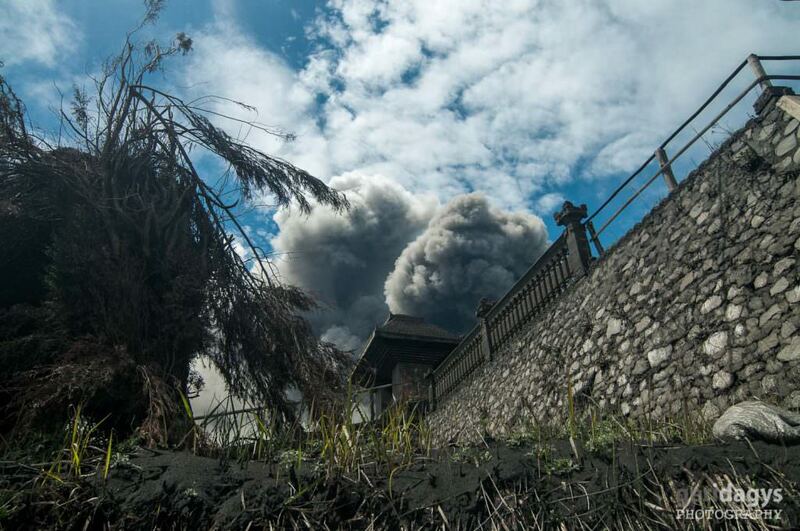 For example, when the ash cloud rose to a height of 5.5 km on 28 November 2010 – extending from Bromo to the island of Bali – flights at Denpasar airpot, which is located 400 km away, were cancelled. 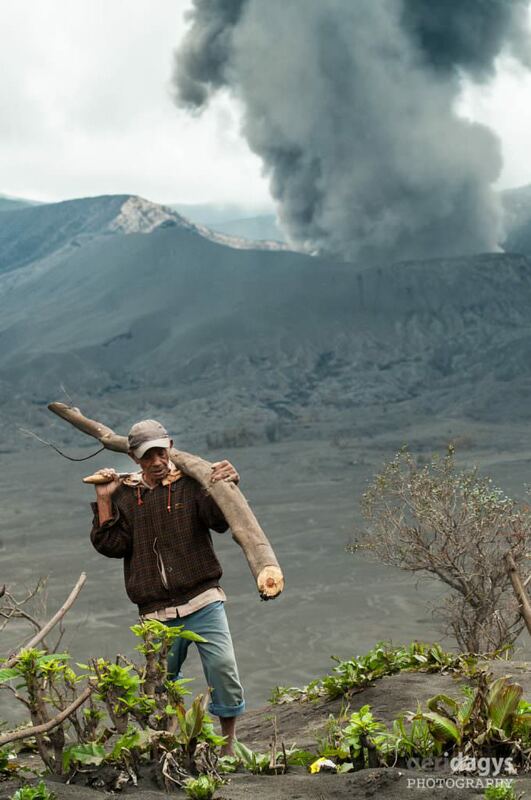 By early 2011 concerns had been raised as regarded the adverse impact that the Mount Bromo eruption was having on the local economy, as well as the potential for long term damage that it might cause to the environment and the health of people living in the areas surrounding the volcano. Permanent residents of these areas were advised to wear respiratory masks and to protect their eyes. They were also alerted that the thick layer of ash which had built up on roofs and other places could lead to collapse. Following the heavy rains of January 2011, the danger of lahar and lava flow became greater due to the accumulated volcanic ash, sand and other materials that had been ejected during the eruption. It is not easy to predict a volcanic eruption. Bromo’s 2004 eruption revealed the true scope of the threat that such eruptions can pose. This is mainly down to the fact that volcanoes are, as sites of special interest, visited by a large number of people – by the locals who bring their offerings for the underworld diety and the tourists who make their way up to cast a glance inside the crater. On 8 June 2004, Bromo erupted without warning, overcoming a group of tourists who were climbing the steep steps towards the edge of the crater. Two tourists, struck by the volcanic salvos that were shot from inside the crater, were killed instantly, whilst another few were injured. That same evening marked the peak of its eruption – an ash column, several kilometers in height, lingered for around two hours. Over the course of the next few days, small emissions of ash were recorded until finally Mount Bromo came to rest. High concentrations of volcanic gases, especially hydrogen sulfide, can also be life threatening – as past cases can attest. From a short term perspective, volcanic eruptions can inflict serious damage on the surrounding flora and fauna. The high concentration of fluoride and heavy metals deposited in freshly fallen ashes destroys plants and kills animals. However, after a year or two these killer ashes become the ideal fertilizer. Ashes contain all of the minerals and microelements that are needed for life on Earth. During volcanic eruptions – enormous amounts of these substances are released into the environment. They settle in water and there enter into the food chain, finally reaching humans through their diet. Rain water dilutes the conentrated elements, with the result that most of the damaging material is melted away. The moderately soluble material that remains is left in the soil to feed and enrich the plants with its nutritional properties. 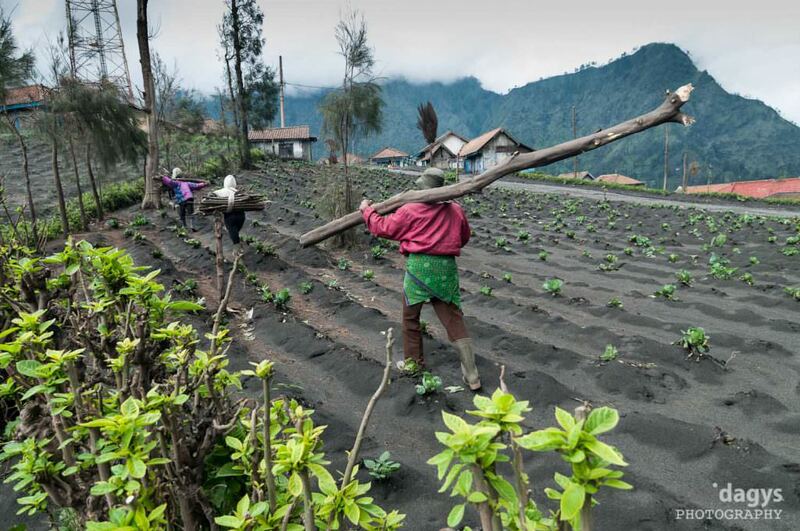 Such soil contains all the microelements imaginable – which is why some of the sweetest onions in the whole world grow in the surroundings of Mount Bromo. Volcanic eruptions also have an influence on climate change. 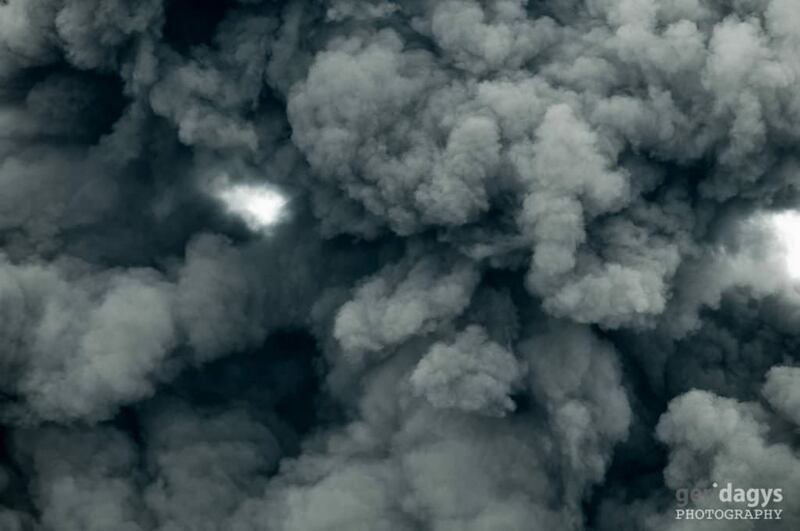 During sudden explosive outbursts, the stratosphere is injected with vast amounts of volcanic gas, aerosol droplets and ash. Ash falls from the stratosphere in a very short period of time, and as it is removed within a period of a few days or weeks, it has little impact on climate change. Volcanic gases, on the other hand, such as sulfur dioxide, can influence global cooling, while volcanic carbon dioxide, a greenhouse gas, has the potential to stimulate global warming. Large volcanic eruptions release tens of teragrams of chemically and microphysically active gases and solid aerosol particles into the stratosphere. This damages the ozone layer upon which our planet’s climate largely depends. Volcanic clouds can become diffuse across large expanses of the atmosphere in a matter of several weeks, and their fine particles take about a year to decay. They are also known to have a direct effect on shortwave and longwave radiation, which affects the climate of the entire planet. In the Earth’s Polar Regions, solid aerosol particles are the ideal medium for various chemical reactions which liberate chlorine – the element which destroys ozone and forms so-called holes in the ozone. Aerosols increase the reflection of solar radiation thereby cooling the lower atmosphere. Strong volcanic eruptions can have a prolonged effect on the climate that may last for a number of years. Volcanic clouds reduce the Earth’s surface air temperature but heat up the stratosphere. In the tropics, increases in temperatures caused by volcanic eruptions are more pronounced than they are in regions located in the middle latitudes. These processes determine winter warming in the Northern Hemisphere. Certain eruptions of the last century have led to declines of half a degree Fahrenheit (0.10°C) in the average temperature of the Earth’s surface for periods that have lasted one to three years. The eruption of Mount Pinatubo on 15 June 1991 in the Luzon Island, Philippines, was one of the largest eruptions of the 20th century: 20 million tones of sulphur dioxide at an altitude of over 30 kilometers were injected into the stratosphere. The Pinatubo cloud was the largest sulphur dioxide cloud recorded since 1978 – when satellite observations were first introduced. It is believed that it was this eruption alone which caused the largest aerosol disturbance of the stratosphere in the 20th century; however, the damage wrought by this eruption was undoubtedly smaller than that caused by Krakatau in 1883 (the volcano situated in the Sunda Strait between the Indonesian islands of Sumatra and Java) or the eruption of Mount Tambora in 1815. The latter eruption on the Indonesian island of Sumbawa led to a “year without summer”, with its consequences still being felt three years after the event – the temperature of the Earth’s atmosphere dropped by as much as 1.3 degrees Fahrenheit (0.26°C) during this period. The sulfur dioxide which was emited after the great Laki eruption in Island in 1783–1784 caused the regional cooling of Europe and North America for a similar period of time. The Agung eruption on Bali Island in 1963 led to the formation of the largest stratospheric dust veil that had been recorded in 50 years – traces of which remain in the air even now. The latter eruption also inspired a number of scientific studies. Although on some occasions the sulfur dioxide that is emitted by present-day active volcanic eruptions has been observed to cause the effect of global cooling in the lower atmosphere, the carbon dioxide released by these eruptions has never produced detectable levels of global warming. The amounts of carbon dioxide emited by present-day active volcanoes are not sufficient enough to cause such an effect. Studies confirm that the carbon dioxide emitted by the subaerial and sumbarine volcanoes make up less than one percent of all of the carbon dioxide released into the atmosphere. The hypothesis that large volcanic eruptions in the past determined global warming and quite possibly the extinction of certain species has remained a topic of fervent scientific debate. Augung Suharto grew up at the foot of Mount Bromo. Like a number of his friends, he gained his education in Surabaya – the capital of the eastern province of Java. Today he speaks good English and works as a guide at Bromo Tengger Semeru National Park. A passionate devotee of mountains and his native land, Agung accompanies groups of tourists on excusrsions to the mountains and the deep craters of dormant volcanoes. As we have our dinner together in one of the village inns, Augung shows us photos of trips that took place before the eruption of Bromo at the end of 2010. The pictures and stories, especially those related to descending into the depths of the craters, are striking. However, it is nature which dictates the pace of life for those who have chosen to settle in the vicinity of active volcanoes. At present trips are not being organized and Agung, making use of this imposed vacation, has returned to his native village to delight in the view it provides of the awakened Bromo. At dusk Mount Bromo decides to interrupt our dinner. The ground rumbles beneath our feet and the windows of the inn begin to clatter – we run outside to take in the rage and force of the dieties who live within the volcano. Mount Bromo, which regularly demonstrates its power through a succession of threatening rumblings and belches of smoke from its crater, shows its true nature and might as night settles in – plumes of dark smoke cross the sky up to a height of almost 1 kilometer. This otherworldly vista – with its hollow, low vibrations which pierce the body, and its atmosphere of invisible power which suspends time – completely overwhelms one’s soul. Everything around you ceases to exist. Sublime silence envelops, with only lonely Bromo whispering in it. If one was asked to provide an illustration for the expression desolate beauty, the surrondings of Mount Bromo would serve as a perfect example. The massive, rough and rugged volcanic peaks, the barren lands of gravel and the sea of sand… It’s almost impossible to render the feeling that captures you as you gaze in wonder at this unique masterpiece. Mount Bromo looms in the centre of an enormous plain – the “Sea of Sand“, as locals call it (Javanese: Segara Wedi; Indonesian: Lautan Pasir). It is a truly unique natural formation: a new volcanic caldera is in the process of forming inside the much larger and older caldera of Tengger. In the middle of the Tengger caldera, surrounded by this sea of sand, new cones – five young volcanoes – have emerged: Mount Bromo (2,329 m), Mount Batok (2,470 m), Mount Kursi (2,581 m), Mount Watangan (2,661 m), and Mount Widodaren (2,650 m). Out of these five new formations, Mount Batok is the only peak that is no longer active – it has already been overgrown with trees. This awe-inspiring natural art work sprawls for 5,250 hectares at an altitude of about 2,100 m.
The Tenggerese that live in the territory of Bromo Tengger Semeru National Park are one of the most significant surviving Hindu communities on the island of Java. Today the island is inhabited by 600,000 Tenggerese, most of whom are concentrated in the 30 villages which are scattered throughout Bromo Tengger Semeru National Park and the area around it – with smaller communities residing in the territories of East Java. The Tenggerese speak an archaic Javanese (Majapahit) dialect – the so-called Tengger dialect, and have their own script Kavi, which is based on the old Javanese Brahmi script. The Tengger people are mostly engaged in agriculture, while others lead the lifestyle of nomadic herders. This farming activity is mostly confined to the lower territories and concerned with the harvesting of potatoes, cabbage and onions. 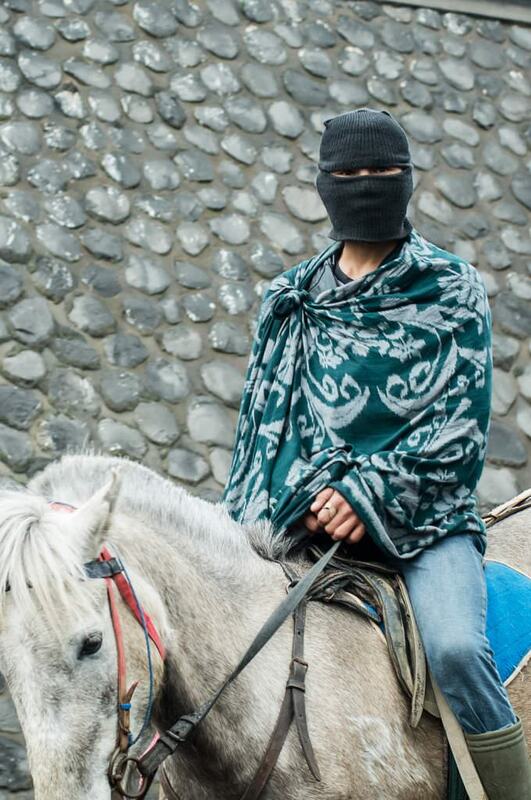 The nomads live at higher altitudes – they keep their faces coverred in wool blankets to protect them from smog and ride on small horses. The territory of Tengger massif is a popular destination for both locals and tourists alike. Their numbers flock to watch the sunrise over Mount Bromo and delight in the outlandish views. Of course, this is only possible if the sky is clear of clouds and the volcano fast asleep. 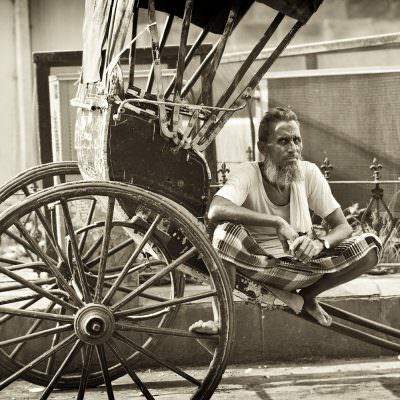 Foreign tourists are curious about the life of the local residents and their ancient customs that have been transmitted from generation to generation. The Tenggerese farmers often welcome tourists to their home for shelter. Today a significant number of Tengger people work in the toursim industry as hotel workers, tour guides, etc. They are known for their simplicity and openness, and are much loved and admired by visitors from abroad. The Tenggerese believe they originate from the Majapahit dynasty. The Majapahit Empire (1293–1527) is one of the oldest and most powerful empires in the history of Indonesia and the whole of South Asia. According to the Tenggerese, after a massive immigration of devoutly Muslims began in the 19th century, the descendents of the Majapahit dynasty were driven into the hills where they, isolated from the rest of the world, live until today. The local religion stems from the Majapahit era. The Hindusim professed by the Tenggerese is reminiscent of the Hindusim practised in Bali, although it contains considerably more Animist elements and quite a few Buddhist touches. Mount Bromo, whose name is derived from Brahma, the Hindu God, is considerred to be amongst the most sacred sites. According to local belief, the volcano’s eruptions are an expression of the diety’s anger – an anger they try to appease through the plenitude of offerings that are made to the volcano throughout the year. According to legend, Priness Roro Anteng from the Majapahit Empire founded the kingdom in the late 15th century together with her Brahman husband Joko Seger. They named it Tenger after the last syllables of their names. The kingdom prospered but its rulers struggled to bear children. Out of despair, they climbed Mount Bromo and prayed to the Earth Gods for help. The gods promised to help but with one condition – that the last born child will be sacrificed to them. 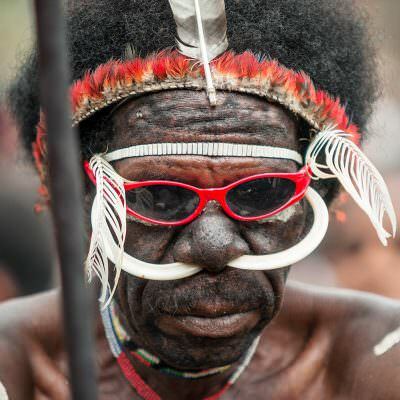 The couple had 24 children but when their 25th and final child, Kesuma, was born, Roro Anteng refused to performe the sacrifice as promised. The gods threatened fire and ash and the woman obeyed. Hence, in fear of the threat of misfortune, and to atone for promises unkept, the Yadnya Kasada ceremony is annually held at the feet of Mount Bromo. During the ceremony traditional offerings of fruit, rise and live sacrifices, i.e. domestic animals, are made. Throughout almost all of kasodo – the10th month of the Tenggerese calendar, the Tenggerese gather together from all the neigbourhoods of Bromo Tengger Semeru National Park for the rituals, offerings and rites that take place. During the full moon, on the 14th day of kasodo, a procession makes its way from Luhur Poten temple, at the foot of Bromo, up the side of the holy mountain. Garlands which have been artistically bound from the harvested produce of local farms are carried to the edge of Mount Bromo volcano and thrown into its abyss. This ceremony is most often performed before sunset. Locals, however, continue to perform their own personal offerings long after the sun has set because the size of the crowd present makes it difficult to access the crater’s edge. The majority of these sacrificed goods, including live offerings, are “caught” by the bravest participants of the ceremony, who, having climbed into the crater earlier, wait for these offerings to be thrown down, which they catch with nets. The Tengger people believe that by trying to catch the offerings and collect them inside the crater, they prove their courage and attract luck. The customs of the locals is a real headache for the broader minded Agung Suharto who is in love with the mountains. With true heartache he talks of how the people of his native land have no idea about the harm that they do with their modern offerings.When the volcano is dormant, its crater needs to be contsantly cleared of non-degradable biscuit packages and plastic bottles. Descending the depths of the crater to collect the rubbish is dangerous work. Agung himself both organises and supervises voluntary expeditions. Alongside this activity he educates people, explaining the difference between natural and synthetic offerings, and what offerings are welcome by the subterranean gods and what goods can only increase their rage. Although nobody who lives in the vicinity of Mount Bromo wishes for the latter, much difficult and patient work awaits Agung. Bromo Tengger Semeru National Park was opened to visitors in April 2011. Indonesia has about 500 volcanoes and nearly 130 of them active, with 68 classified as dangerous. Located in East Java, Mount Bromo spewed ash into the air after a relatively minor earthquake eruption in the latter part of November 2010. Its status was upgraded to top alert and declared off-limits to visitors. Significantly stronger volcanic activity occurred in January 2011. The ash that spills from the crater covers everything with a dusty black patina: streets, houses, fields, forests, and gardens… Due to its chemical composition the volcanic ash after few years becomes a good soil fertilizer. Heavy ash fall may result in the collapse of roofs. During strong eruptions the volcano can eject debris many kilometers into the air and generate massive pyroclastic flows. These flows together with cold lahars caused by heavy rainfall after the eruption, can devastate villages. Volcanic ash from large eruptions can affect the climate: massive ash clouds reflect the sun’s rays, causing temperatures to fall. In such areas the sun might not appear for prolonged time, forcing locals to look for other means to heat their dwelling houses. The Tengger massif is part of a volcanic chain that extends along the arc of the Sunda Islands. 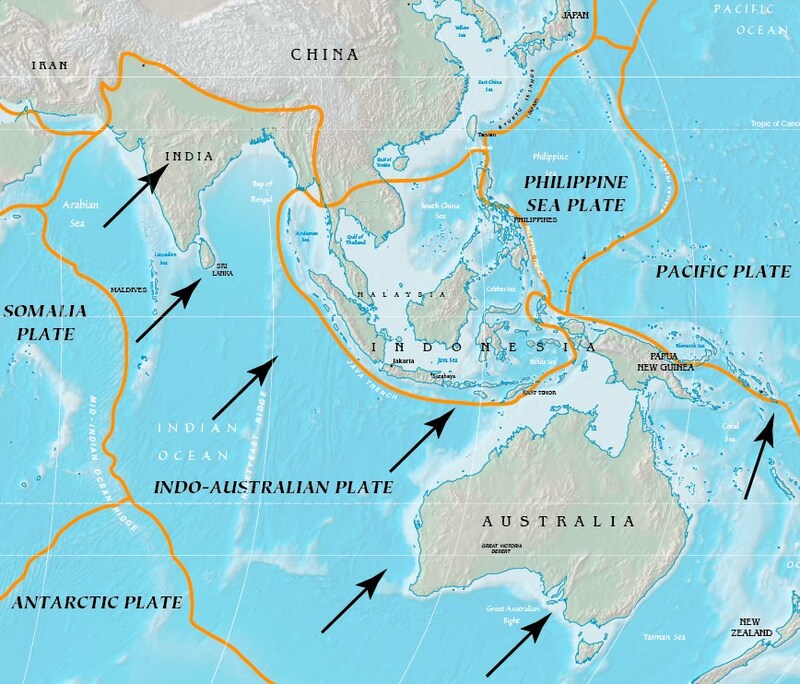 It is here that the two plates collide: Indo-Australian plate moves beneath the Eurasian plate. The Sunda Trench is formed along the boundary of their collision. The magma that forms in the subduction zone feeds the volcanoes of the volcanic chain that extends from the Andaman Islands of Sumatra to East Timor – as if it were the spilled beads of a necklace. This wondrous volcanic alley is truly bait for tourists. The volcano constantly spits smoke and ashes which can reach up to 1,000 meters into the air. Red hot rocks flying out of crater can be seen in all its beauty only at night. The name of Bromo is derived from Brahma, the Hindu creator god. The Hindu temple that stands at the foot of the volcano can be seen as the village’s protector against the fiery vicissitudes of the god Brahma, the divine creator and destroyer. Volcanic ash is not poisonous to humans, although in the long run it is likely to cause respiratory problems. Mount Bromo has been active since 1804 – when the first historical records concerning it were found. A total of 50 eruptions have thus far been registered. 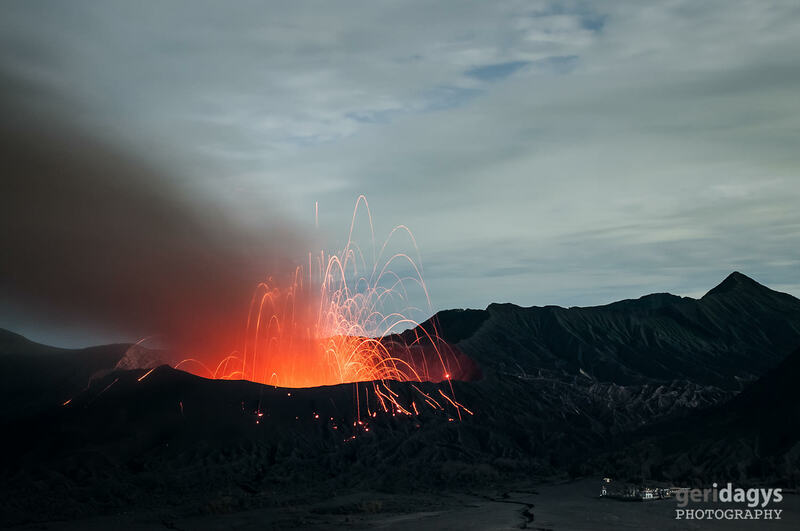 Due to the fact that Bromo is formed at the edge of a steep caldera – its explosive eruptions pose a threat not only to the local flora and fauna but also the local residents, not to mention those unfortunate victims that get in its path. The eruption that occurred in June 2004 led to the death of two tourists – they were struck by rocks belched from the depths of the crater.